Which Wines Are Organic? Where Can I Buy Them? Hello and welcome to Organicwinefind.com -- the website to help you choose and find organic wine. The site features 700 of the top organic and biodynamic vineyards in the world, and more than 3000 of their organic wines! You can use the navigation bar at the top of the page to browse by vineyard, by wine, or you can use the advanced search tool available on each page to help you choose organic wines based on your preferences. Vineyard profile pages are rich with information including descriptions, videos and maps. 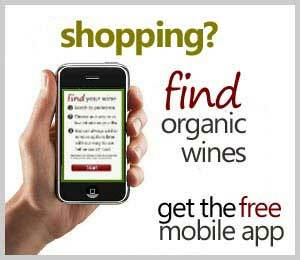 We've also teamed up with Wine-searcher.com, so that for each organic wine, you can see a list of retailers that sell it. Organic Wine Standards: Who’s Attacking Who?